I read this article and found it very interesting, thought it might be something for you. The article is called A 7-Step Blueprint To Recreate Mumbai and is located at https://archive.indiaspend.com/cover-story/a-7-step-blueprint-to-recreate-mumbai-41243. The Mumbai Metropolitan Region (MMR), contributes 5% to India’s GDP, 33% to Maharashtra’s GDP, and accounted for 5% of India’s urban population in 2012. By 2030, MMR alone will be bigger than many countries today in both demographic and economic terms. With a population of more than 21 million, it will be more populous than Australia and with its GDP at about $230 billion in 2030, its economy will be bigger than that of Thailand or Hong Kong today. Despite its eye-popping demographics and economic potential, the quality of life in Mumbai has steadily declined and it will continue to do so if current practices of city management persist. For example, only 47% of the sewage generated is treated, and the number of peak vehicles per lane kilometre is 170 compared to an ideal 112. This is despite the well-celebrated current investments in marquee infrastructure projects, such as Mumbai Metro Line 1, the Worli–Bandra Sea Link, and the Eastern Express Freeway. 1. Accepting the MMR Concept Plan 2030 and notifying it: MMR is one of the few cities in India to have followed the international best-practice of developing a 2030 and 2050 concept plan based on the city’s population and GDP growth estimates in 2011–12. But it has not been formally accepted by the Government of Maharashtra. Only after it is accepted can it be notified such that it becomes binding on all municipalities in the metropolis. A few amendments have been made to the Maharashtra Regional Town and Planning Act but a lot remains to be done. 2. Implementing the Concept Plan by creating 6-8 planned spaces as ‘smart’ mini-cities to boost the domestic economy and kick–start Make in Maharashtra: The Government of Maharashtra has a huge opportunity to develop and redevelop specific areas with land parcels ranging from 1,000 to 10,000 acres to spur job creation and overall development in the MMR region. Today, perhaps, Bandra Kurla Complex (BKC) is the one of the few planned “spaces” for boosting financial services in MMR. Even in BKC though, the transportation network is not planned well, as evident by the lack of metro connectivity and enormous traffic jams at critical junctions. Several of the other “spaces” have haphazard plans. Going forward, there is a rare opportunity to choose the next few “spaces” for which economic, transport and physical master-plans can be made followed by their construction as smart transit-oriented cities, with a relatively higher share of non–motorised public transport. In these mini-cites, some smart technologies, such as road-sweeping machines and smart-metering can be adopted. For example, Navi Mumbai with its proximity to Pune, Maharashtra’s education capital, could become a high-tech hub for the state. Similarly, the development of about 750 hectares of the Mumbai Port Trust land can be used to create housing and commercial developments, to generate millions of jobs through the establishment of a variety of tourist activities—marinas, hotels, convention centres, sea-facing restaurants and the promotion of social development through the development of housing for economically-weaker sections and low–income groups, and the creation of public spaces like parks, and walking tracks for all citizens. Likewise, Gorai can be developed as an international tourist hotspot, Alibaug as a coastal city, Ulhasnagar as an electronics city, Kalyan–Dombivali as an automotive hub, and Panvel as an education city. 3. Rapidly execute a public transportation network that will catapult Mumbai into the ranks of other world-class cities and establish a Unified Metropolitan Transport Authority (UMTA) to ensure multi–modal integration: MMR requires 10-12 metro corridors (costing about $20 billion) to make it world class. It also requires a ring-road that circles the entire city and would cost approximately $5 billion. Instead of following an incremental approach, the state should aim to build this entire network by 2020. Additionally, there is very little integration between these various modes of transportation in the city because each is provided by a different agency e.g. buses are run by BEST while Mumbai Metro Rail Corporation is tasked with developing the metros. Synchronisation of feeder routes is imperative to provide door–to–door connectivity for citizens but often this is not the case. Establishing a UMTA as an agency backed by legislation, as done in Chennai, with the Metropolitan Authority at its helm is perhaps one way to address this issue. Its board could include various agencies such as BEST, railways, traffic police, and the Mumbai Metro Rail Corporation to drive planning and integration. Executing the plans for the development of Mumbai requires significant capital expenditure. According to our estimates, MMR will require $180 billion of funding over the next 15 to 20 years. Of this, roughly $60 billion will be required to fund the city’s mass transit projects and another $60 billion to finance affordable housing stock. Raising this much money requires increasing the city’s per capita per annum investment from $75 to $367. This is no easy task. Global experience and our work shows that about a third of this, around $120, can be raised through land monetisation. The recent experience of the Municipal Corporation, where fungible floor space index (FSI) has become the second-largest revenue generator after octroi in the financial year 2013–14 further validates this approach. The remaining funds can be raised by collecting property taxes, user changes and central/state government funding. 4. Pushing and empowering the Municipal Corporation of Greater Mumbai (MCGM) to execute capital projects worth $2 billion per year: The Municipal Corporation has both the revenues as well as the asset base to execute $2 billion of capital projects for Greater Mumbai every year. The recent decision by the Chief Minister to proceed with the development of the coastal road is an encouraging development. Pushing and empowering the corporation to undertake transformational projects for Mumbai will be one solution to Mumbai’s infrastructure funding. To make this happen, a separate wing in MCGM for large capital projects led by an additional municipal commissioner, with the help of modern techniques such as special-purpose vehicles and state government support will unlock these investments. 5. 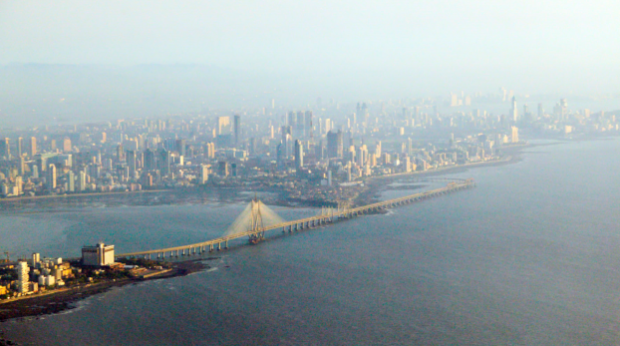 Establishing the Mumbai Development Fund: As Mumbai develops and redevelops, it should establish a ring–fenced Mumbai Development Fund housed under the Mumbai Metropolitan Region Development Authority to finance the city’s infrastructure by collecting the proceeds from land monetisation. For instance, this fund should collect either a cess or some fees on all the land-related revenues generated. These fees could be charged on additional FSI, cess on stamp duties, betterment charges, impact fees, land–use conversion charges and proceeds from the auction of green-field lands. This is how most of the world’s largest cities such as Singapore and Shanghai have been financed. In India, this is being done in some cities such as Nagpur and Ahmedabad and should become a model for Mumbai. 6. Appoint a full-time leader for MMR in the short–term: Ideally, a well–respected leader across the public and private sectors should be appointed as a full–time leader in charge of Mumbai. This position located in the Chief Minister’s Office, should be of the rank of Minister of State and be supported with adequate human and financial resources to drive the renewal and development of Mumbai. This individual as a representative of the Chief Minister should be sufficiently empowered to implement the vision and plans for Mumbai, address and coordinate various inter-agency matters, and tackle issues as they emerge. 7. Move to a directly-elected system of Metropolitan Mayors: India is one of the few parliamentary democracies in the world that does not have directly-elected mayors for its cities. Consequently, there is no one individual responsible for the city. Instead, there are multiple agencies often with overlapping roles working to provide various services to the citizens, from housing to roads to water supply. Further, several state–owned organisations are tasked with city-level service delivery. Such institutional defragmentation has created gaps in the city’s funding and planning processes and led to a decline in the quality of life. Canvassing politically to enable this constitutional amendment is essential not only for MMR but all of India’s metropolises. We estimate India will have more than 70 metros by 2030, up from 54 in 2012. In short, with a series of sustained actions, we believe MMR can change. But for this change to occur strong political resolve and focus is key. If the Government of Maharashtra chooses to act, it has the opportunity to make a difference and make Amchi Mumbai, really Achhi Mumbai. 2) MMR’s GDP is $230 Billion. However, it is my understanding, Maharashtra’s GDP is around $250-270 billion, the maths does not add up.